We offer on-site, full-service digital x-ray so that we may better assess your needs and ensure that you get the proper care for your spine. Digital X-ray is technology that allows X-ray images to be instantly recorded onto a computer screen making film developing obsolete. The image detail is crystal clear and the exposure times are reduced massively. 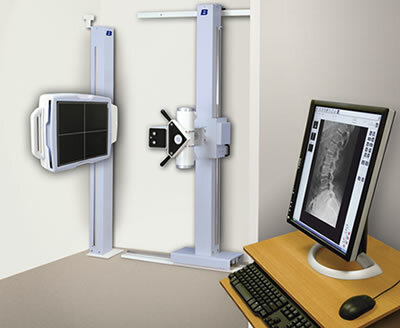 Our Digital X-Ray allows us to attain posture/standing views of the spine. Attaining these images often enables us to make a correct diagnosis and then provide the safest possible care, with the most appropriate techniques and advice. Dr. West will determine the need for X-Rays based on your presenting concerns and examination. Through our new digital x-ray software, we are able to process, read and report your x-rays often within as little time as half a day.